Good hosting is crucial to a successful event. Our experienced and attentive team will do all they can to ensure your guests have have the best possible time. The seeds of Demetri’s long-standing appreciation of wine were sown young: “My grandfather in Cyprus had vineyards,” he recalls, “and I remember as a child walking through them, and how romantic and fascinating it was.” This appreciation of both the emotive nature of wine, and also the mud-on-boots aspect of viticulture inspires Demetri’s vinous interest to this day. Looking back to her university days down in Exeter, Isobel’s love for all things vinous can be traced back to being a member of their wine society as well as endless cheese and wine nights with her friends. Post-graduation her career in the drinks world began at Bacardi Brown Forman working with large international spirit brands before joining Berry Bros. & Rudd in Spring 2013. Her next step is the completion of the WSET diploma. 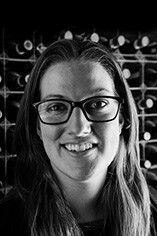 Isobel enjoys wines from all over the world taking every opportunity to learn and to expand her knowledge. In her spare time, Isobel enjoys a very competitive game of squash. Richard came to the UK from his native Australia in 2003. 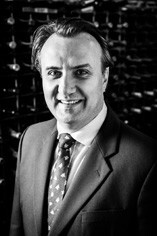 His early career was in educational consultancy before developing his wine experience at La Fromagerie and Selfridges. 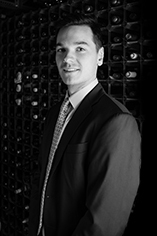 Having worked in Private Wine Events at Berry Bros. & Rudd since 2011, Richard now oversees the Events and Education department. Blessed with some of the finest dining and educational venues in London, Richard is thrilled to offer our guests the chance to experience some of the best wines in the world and help them take a small step towards the farms and fields of the great wineries of the world. After completing a three-year Chefs Diploma, Stewart headed to the bright lights of London to gain experience in many top establishments, including Michel Roux’s Waterside Inn. 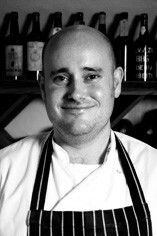 With a real passion for food and wine, being Head Chef at Berrys is his perfect job. Since joining in 2008 he changed the face of Berrys’ food served, bringing a more restaurant and fine dining feel to the menus, without losing our ethos of food and wine matching. When not slaving over a hot stove, Stewart loves going to new restaurants to keep up with current food trends and, away from food, spending time with his young family. 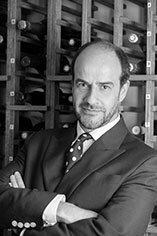 With a varied Argentine, Chilean, Australian and Cornish heritage, Felipe felt attached to a sufficient number of quality wine regions as to warrant a foray into the wine trade after his degree. Any deluded fantasies of such a life were, however, to be tested shortly after, during a year spent at a winery in Argentina. Fortunately, his encounter with some memorable characters, too many asados and some great hooch meant this was only to be replaced by an equally rose-tinted vision of the future, and the deal was done. Having worked as a Wine Advisor in our head office since 2013, Felipe brings a welcome knowledge of our Basingstoke operations to the Private Wine Events team.